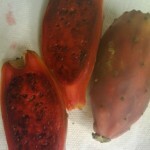 Cactus pear also known as prickly pear because it resembles an actual cactus plant. It is filled with edible seeds. 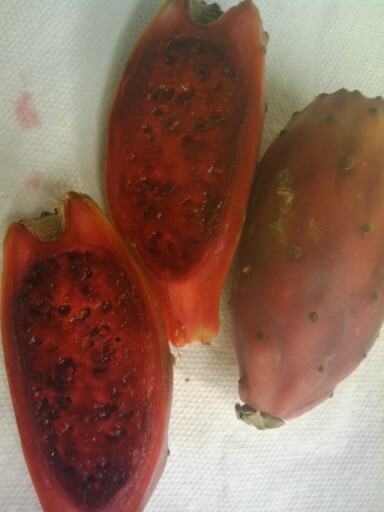 Cactus pear has similar tastes of a melon. You must cut it in half and scoop out the pulp with a spoon. The pulp can be used in drinks and sauces or topping on ice cream . You can also eat it by slicing and eating the pulp.